Honor Heffernan has been performing as both a singer and actress for over 30 years now. She has been both critically and publicly acclaimed as a singer whose versatility and superior vocal ability means she is comfortable singing anything from Jazz and Blues to Rock and Folk. She has earned the reputation as Ireland’s leading Jazz singer. 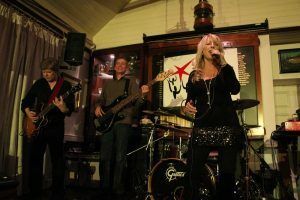 Over the years she has played with Ireland&#39;s leading Blues, Jazz and Rock musicians including Jim Doherty and Louis Stewart.